-Eligible for a free installation. Call us for more details. -Disables the CD changer in the trunk. -Does not disable the CD or cassette in the Symphony radio. -Does not disable the in dash cassette player or the in dash 6 CD player. -The CD changer in the trunk is connected to a cable that connects to the back of the radio. When you connect this unit it disconnects the CD changer in the trunk. Both cannot be used. 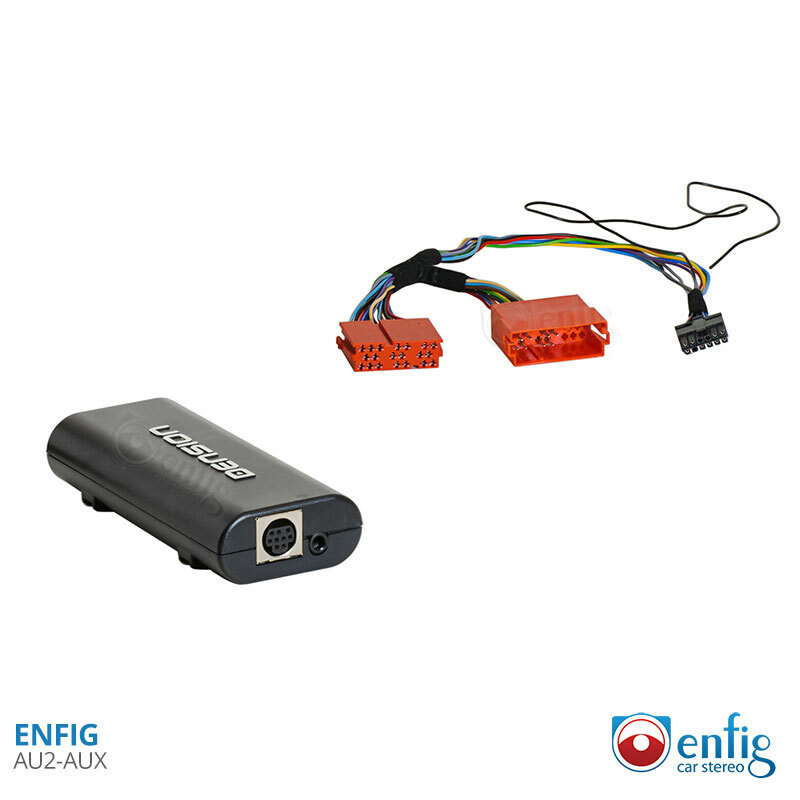 -When used with this device the Enfig Audi SAT PASS 1 requires a special modification that requires both harness to be modified. Audi Allroad 1998-1999 All models have a Concert cassette radio. -Does not disable the in dash CD player. -The CD changer in the trunk is connected to a cable that connects to the back of the radio. When you connect this unit it disconnects the CD changer. Both cannot be used. My son, who is just as much a stereo nut as I am, has exclaimed that he loves his car again because of the stereo. In years we've never heard his Audi-Symphony stereo sound this good! Installation is a breeze, and the product quality is superb. Deal with these guys as Enfigcarstereo is THE BEST! Will only play music out of the left side speakers. Sent it back to get a new one. After a month of waiting I received another unit with the seal already broken on the box. Plugged the new one in and have the same problem. I tried 3 different aux chords and my Samsung galaxy s4 and my ipod touch. Nothing worked. Asked for technical support and was told there is no trouble shooting for the device. Don't waste your money on this. Very dissatisfied.